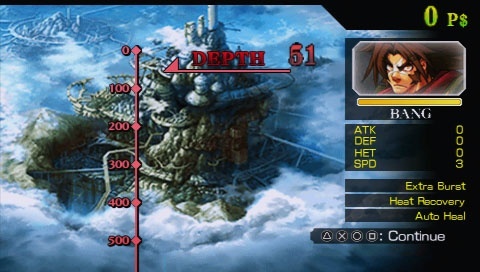 (+)Pros:-Continuum shift on the PSP plus all 3 DLC characters,-inclusive of arcade mode playthroughs for all DLC characters,-includes new story arcs,-abyss mode adds even more gameplay value for casuals,- newly tweaked score attack that catters more towards weaker playes,-plenty of unlockables. (-)Cons:-Still has below average character count,-visuals arent as impressive on the PSP,-not that much improvements over continuum shift. I promised more game reviews, but honestly, Im running out of stuff to review (good stuff that is, games that I think at least deserve a 7). Time to redig up my PSP and play some games. Blazblue is currently aksys's biggest thing going on right now, and I can even go as far as to say its the new street fighter -.-. They are releasing new iterations of the game all so oftenly, like about 1-2 games a year! Thats going abit too far aksys, don't become like capcom! Anyway, blazblue continuum shift 2, has 2 release types, a retail release for the PSP, and a downloadable content for continuum shift owners on consoles. Its a wise move, at least they arent making it a retail release for consoles as well. 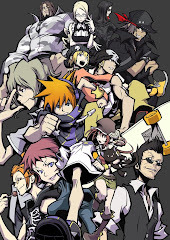 Well, today's review will obviously be for the PSP version, so lets get started right away. The story for continuum shift 2 is pretty much the very same thing for continuum shift. There are no progressions from the story, and its basically what you have seen before if you have played continuum shift. At least aksys threw in some new story arcs like the one with sector seven and the one with the 3 girlfriends makoto, noel and tsubaki. The storytelling may be a tad bit boring, but great writing and voice acting make it a good experience overall. 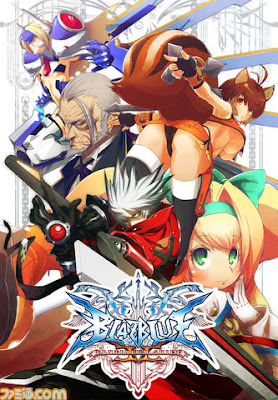 If you never played continuum shift, its a good idea to invest some time to discover the great story of blazblue. If you've played it before, you might want to just invest some time into the new story arcs, the rest you can ignore, because you have seen it before. I still find it annoying that they didnt even add story arcs for makoto, mu-12, valkenhyne and platinum (they are doing it for continuum shift 2 EXTEND, which is wtf). like to see a cat fight between 2 robot chicks? There's not much going on for continuum shift II if you bought all 3 DLC characters, but if you haven't, you are in for a treat. All the better if you've never played calamity trigger or continuum shift before, because theres lots of variety going on here. 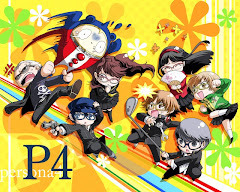 In this iteration of the game, there are 17 playable characters, all with varied play styles and some superb character designs. The fighting is over the top and trying all characters is really something. For the new additions to continuum shift II, they are basically all the DLC characters from continuum shift. We have makoto, valkenhyne and platinum. This is what happends when you try to approach a little girl with that huge sword ragna. Blazblue was pretty damn known for its good amount of modes...continuum shift II is no different. It carries over all of continuum shift's modes and throws in a brand new abyss mode. Abyss mode is typically like a level by level battle progression where you fight waves and waves of enemies until you clear a certain amount of stages, then you reach a shop where you get to buy stuff to strenghten your character. Its a good distraction, and adds more replay value for casuals. There are also the older modes like legion, survival, and the infamous score attack. Speaking of the score attack, aksys decided to actually be more merciful and made it easier. While it still presents some sort of huge challenge, its much easier to clear the entire series of score attack opponents this time round (unlike in continuum shift where you had to fight unlimited ragna, hazama, hakumen and rachel). Still, I cant help but think they should at least include an unlimited character as the final score attack boss. Whats more thats new is that the new DLC characters can actually be played on arcade mode this time round. In continuum shift when you bought those characters, you could only use them in score attack and versus mode (online too of course). Now with them being in arcade mode its easier to get better with them. PLUS, like calamity trigger portable did, continuum shift II has tons of unlockable stuff in the gallery for all you enthusiasts to unlock, to promote more play time. A better look at abyss mode. The shortcomings for continuum shift II are quite obvious ones. The character count is STILL low, no matter how you look at it. Im waiting for a roster count of at LEAST 20-24 before I call it even, 17 just doesnt cut it (tekken 6 had 40 characters). 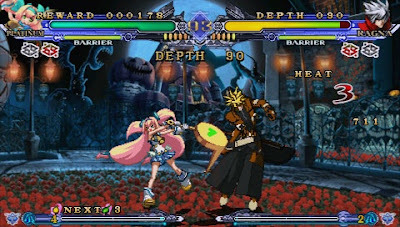 Same for calamity trigger portable, the visuals took quite a big hit here, and they havent improved since then. Finally is that for those who played the crap out of continuum shift, this expansion is going leave you feeling quite shallow, cause theres not much thats improved, other than free DLC characters and 1 new mode. 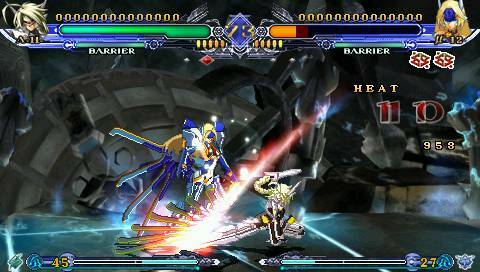 Continuum shift II is still great, over the top blazblue fun. 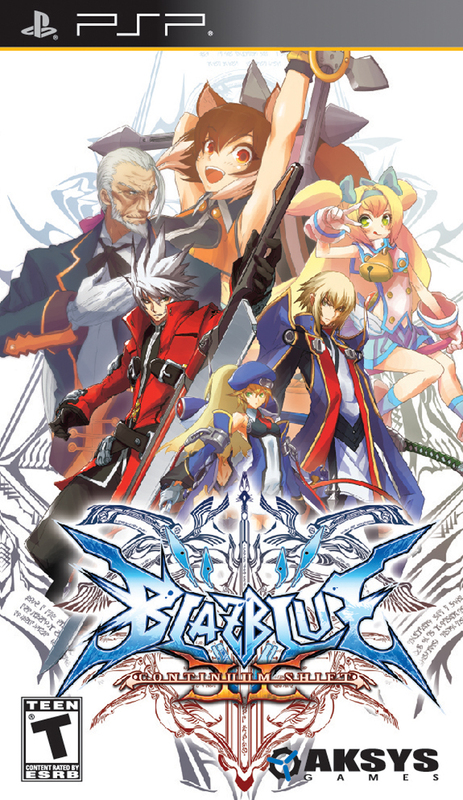 Blazblue fans will immediately feel at home, but those who owned continuum shift and totally squeezed every inch of content out of that game...continuum shift II is something you can ignore. Its basically what you have done plus 3 free DLC characters, new tweaks, improved old modes and a brand new mode. 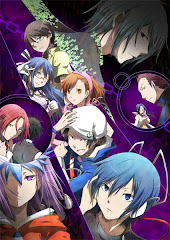 Get the DLC for the consoles if you own continuum shift, don't bother for the PSP version. Those who stupidly missed out on continuum shift or don't own a 4th gen console though....this is a good place to start.